The fifth annual Angle Days and the 32nd annual Chili Cookoff is in the books at the Northwest Angle. People of all ages came out to enjoy the near-perfect weather and a variety of events held across the Angle mainland. 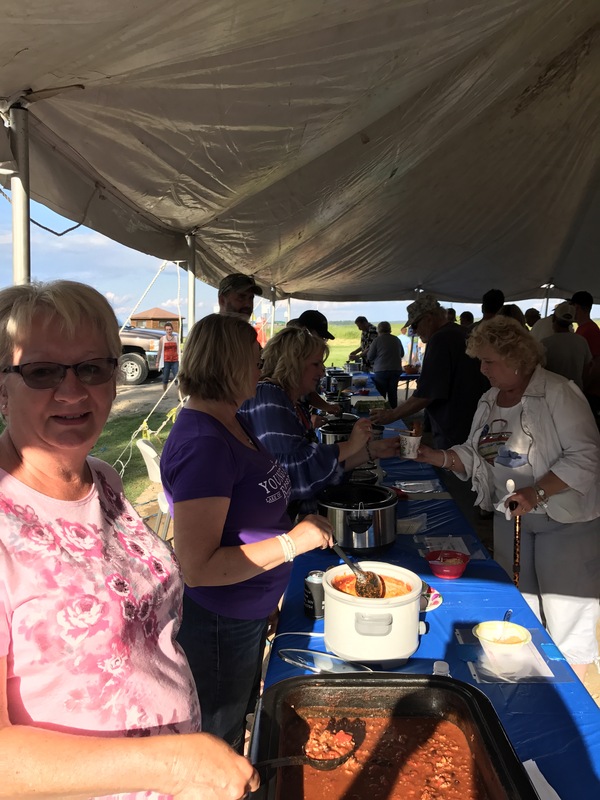 The Northwest Angle Edge Rider’s snowmobile club kicked off the weekend with their fundraiser fish fry, feeding fresh walleye and all the fixings to over 75 people. At Angle Outpost’s Walleyeball Tournament, five teams competed for a cash prize on the resort’s sand volleyball court. The Pine Creek Team narrowly beat Flag Island Resort to take home the honors. Saturday morning saw over forty people meet for the Fun Run, which included a mid-route ferry ride across the creek. Participants took in some Northernmost “DIY Icon” sight-seeing and capped off their exercise with ice-cream treats at the end of the route from the little J&M general store. Ellie Sabourin won the DIY Icon competition with her creative and interactive Northernmost Golf Ball Gong. The High Noon Shootout clay pigeon tournament got the competitive juices flowing. Nolan Rick won the Youth’s division, Chad Gasiorek took the Men’s and reigning champion Katrina Bolls held on to her title for the Women’s division. The Golf Cart Obstacle Course is always a highlight and routinely gathers a big crowd. This year contestants had to complete tasks around the course gathering ingredients in order to build a pudding and wafer dessert which one partner then fed to the other. With whipped cream smiles, Jack Goulet and friends took home the trophy this year. The boys also formed a three-part relay team and won the Lawnmower Races using a push mower. The crowd cheered to see them beat the riding mowers by 12 seconds. 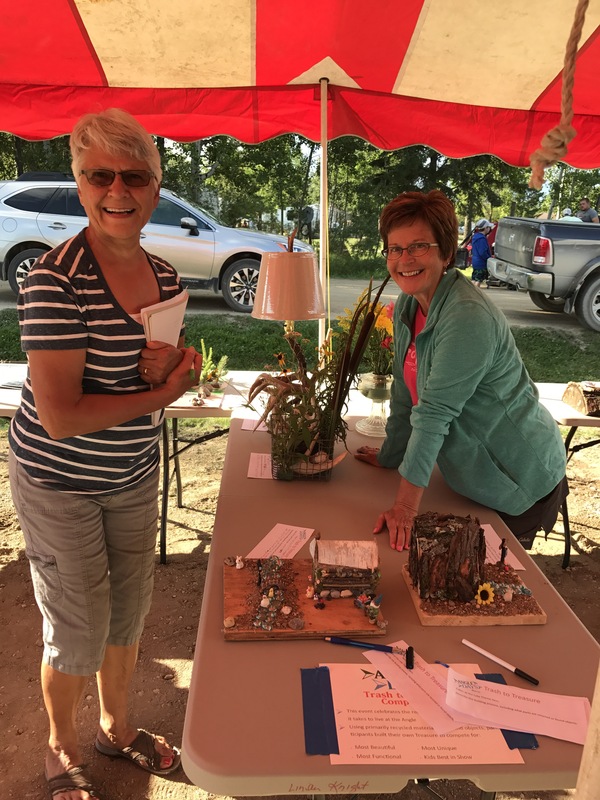 At the Main Events, Angle resident Sue Sellen took home the coveted grand prize for the Chili Cookoff, Kristal Rick of Barnesville came in second and the youngest competitor, Jake Sundberg of Fargo, took third. Kimberly Powell of Duluth submitted a blueberry cheesecake to win the highly competitive Dessert Challenge. 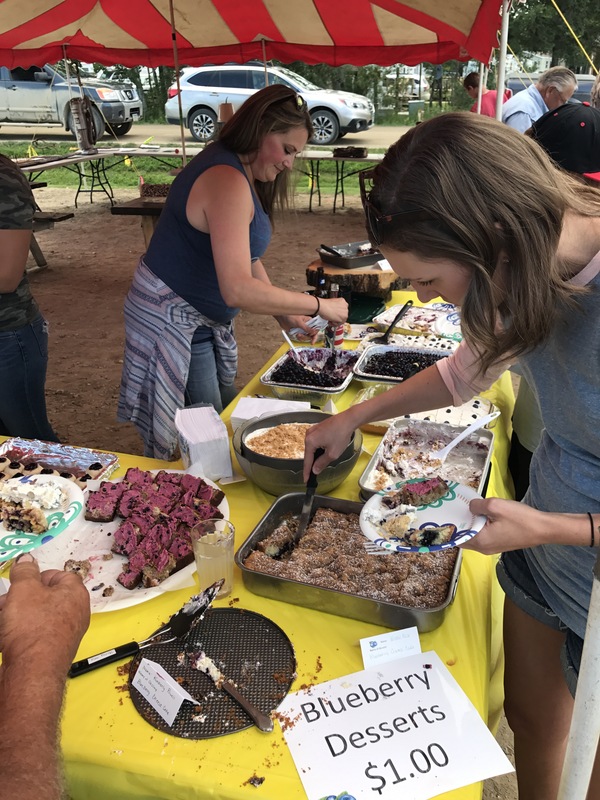 Team Karla & Roxie took second with their Blueberry Surprise, and Jess Powassin won third place with her Banana Bread with blueberry cream cheese filling and whipped blueberry butter. Elsewhere at the Main Events, folks competed for prizes and dollars in the Casting Competition and Hammerschlagen. Trash to Treasure winners for the 2017 theme “Cabin at the Lake” included Angela Frank’s walleye nail art which won Most Unique; Ward & Crystal Knight’s wood table won Most Functional, Katie Hess’ railroad spike coat rack won Most Beautiful, and the Kid’s Best in Show went to Ellie Saubourin for her fishing rod picture décor. Angle Days donated all proceeds from the Dunk Tank to go towards the many needed back-to-school items for the one-room school house. 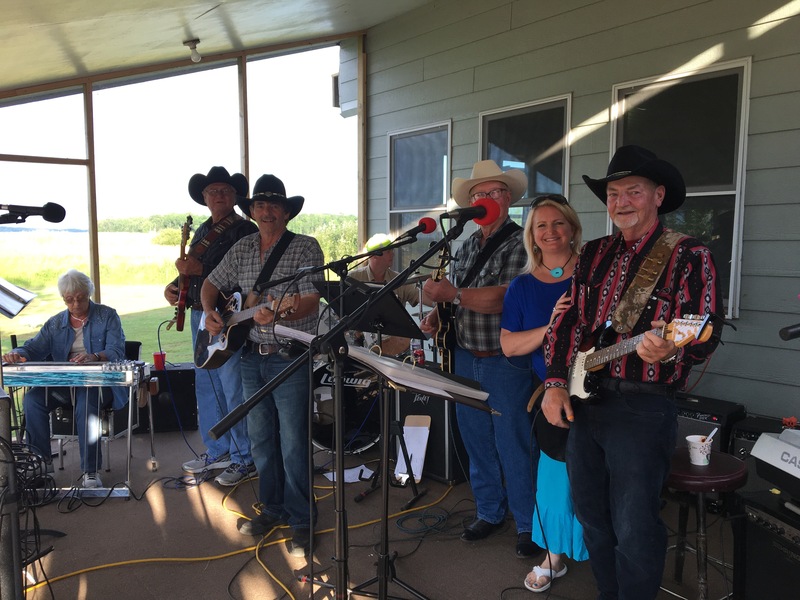 The School Supply Drive, the library book Giving Tree and Sunday’s donation-based community breakfast sponsored by Jerry’s Restaurant were all ways that folks showed up in support of the school. 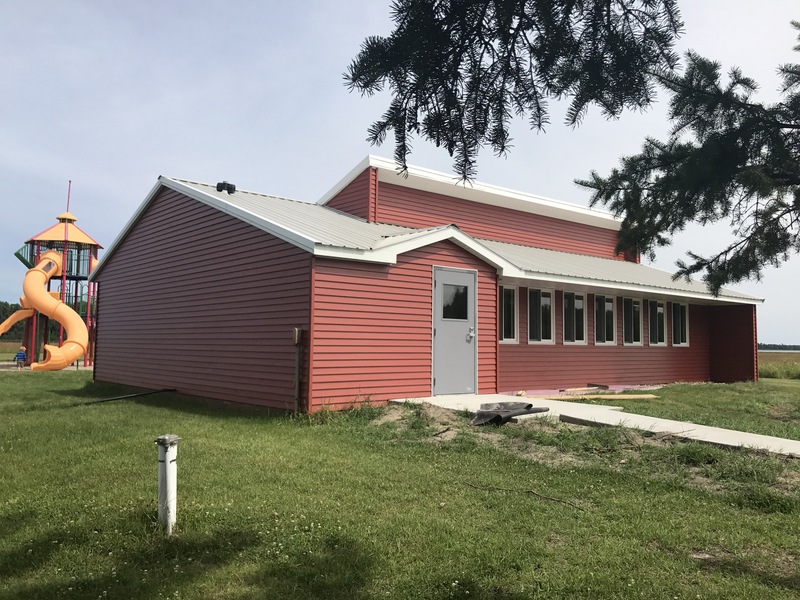 Marvin’s Home Center in Warroad will continue to host a donation box for The Angle School through this week if anyone feels called to contribute. You can also make donations directly to “The Angle Kids” account at Citizens State Bank in Roseau. 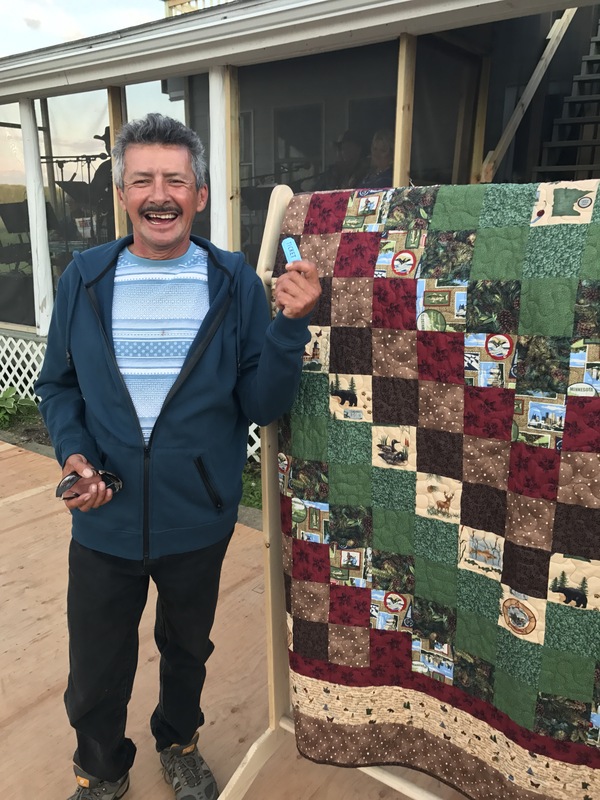 The beautiful queen-size quilt went to lucky winner Jim Holmstrom. He seemed pretty excited about winning the commemorative Minnesota quilt despite being from Ontario. The evening ended with dancing under the stars to the good old tunes from The KnightLighter’s six-piece band, as well as an impressive firework display beneath the full moon. It was a full and satisfying weekend of good, down-home fun at The Angle. Mark your calendars; Angle Days will be held August 3-4 in 2018.